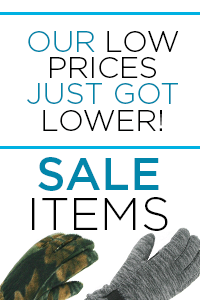 Grand Sierra™ Wholesale Ladies Performance Ski Gloves, Ski Mittens, and Snowboard Gloves and Mittens at discount prices. Ladies bulk insulated, waterproof, windproof, breathable ski and snowboard gloves / Mittens in stock. Grand Sierra is your one-stop wholesale distributor for cold weather gloves, mittens, hats, masks, and scarves for all size ranges. 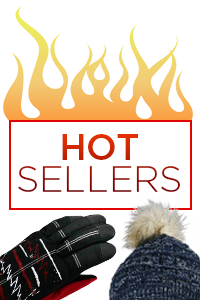 We have the top quality and large selection you require of winter accessories for men, women and children. 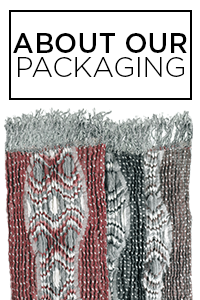 Register and be sure to check out our bulk pricing from your one-stop supplier for your discount wholesale purchase. Grand Sierra wholesale Ladies Taslon Ski Glove with acrylic knit cuff, touch fastener wrist strap an..
Ladies wholesale microfiber commuter glove with embroidered snowflake contrast fleece binding and cu..
Ladies Tusser Snowboard Glove with piping, quick release wrist strap with tab, soft rubber-tech grip..
Ladies wholesale Microfiber Ski Glove with Microfleece cuff, rubber-tech grip palm patch, Waterproof..
Ladies Microfiber Ski glove with Microfleece cuff, rubber-tech grip palm patch, Waterproof, and THIN..
Ladies wholesale Bec-Tech® (Waterproof-Windproof-Breathable) Touchscreen tusser snowboard glove with..
Ladies wholesale microfiber glove with faux fur cuff fleece lining and microsuede palm patch. Fashio..
Ladies wholesale taslon ski glove in black. 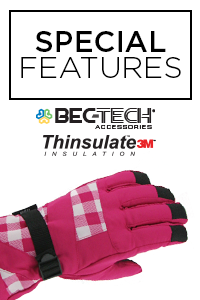 Featuring acrylic knit cuff rubber-tech palm patch touch..
Ladies Bec-Tech® (Waterproof-Windproof-Breathable) softshell snowboard glove with piecing and piping..
Ladies wholesale Bec-Tech® Waterproof, Windproof, Breathable Quilted Tusser Snowboard Glove. S..
Ladies tusser ski mitten with finger lining microfleece cuff soft rubber-tech palm patch elastic wri..
Ladies wholesale Tusser snowboard mitten with piping, quick release wrist strap with tab, soft rubbe..
Ladies wholesale microfiber mitten with finger lining faux fur cuff fleece lining and microsuede pal..